What So Sizzle Bout Sizzling Suzai - Malaysia Fashion, Travel and Lifestyle Blogger: [GIVEAWAY] DOVE with Oxyfusion Technology Hamper for 5 Luckiest Readers !! [GIVEAWAY] DOVE with Oxyfusion Technology Hamper for 5 Luckiest Readers !! Flat hair is almost impossible to style and it can be frustrating even to us, the hijabies! i often hoping that when i wake up my hair will volumised and bouncing perfectly! HAHA but its quite impossible as it is always flat boringly and assuredly messy lol Understanding these real concerns faced by women with dry and flat hair, Dove is bringing a new solution to breathe volume to their flat hair and provide nourishment to deliver a luxurious experience women can enjoy every day. Yippie! Dove with Oxyfusion Technology that contains oxygen-fused ingredient in both the shampoo and the conditioner. The formula instantly dissolves into the hair, giving deep down moisture while adding up to 95% of volume* without weighing it down. The new Dove Volume & Nourishment hair range even provides fruity fragrance that keeps women fresh all day long! My personal verdict, I am seriously loving the fresh and smooth feel after shampooing my hair using both the shampoo and conditioner. yup you should apply both! undeniably the smell is extremely pleasant! goshh sangat wangi! well i promise to keep on using both the Volume & Nourishment Shampoo and Conditioner because i starting to see my hair is healthier, my skin head is fresher even after a long 12 hours being hidden under the hijab (plus berpeluh peluh lagi!) and the hair starting to bounce. bouncing here meant my 'limited' hair here looks a bit thicker! Dove Volume & Nourishment Shampoo with Oxyfusion Technology contains oxygen-infused ingredients that offer a weightless formula to restore smoothness while adding up to 95% more volume* for hair that’s full of bounce. This every day shampoo breathes life into dry, limp hair while gently cleansing and nourishing with every wash.
HOW to use? Apply to wet hair, gently massage into hair and scalp and rinse. 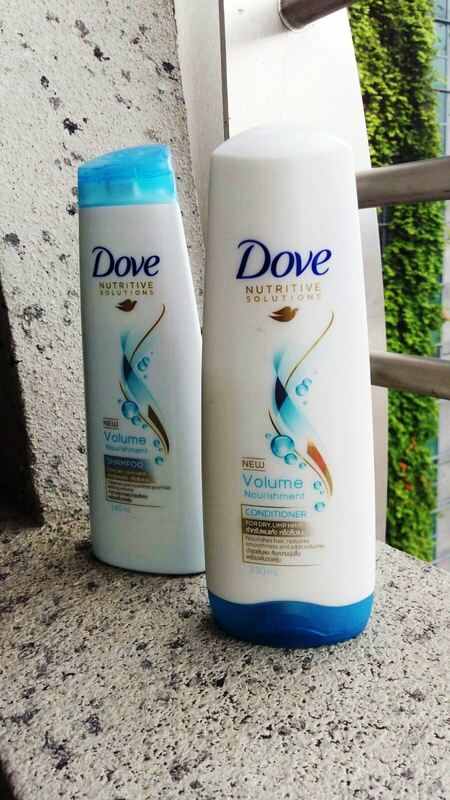 Dove Volume & Nourishment Conditioner has been designed to complement Dove Volume & Nourishment Shampoo. his Conditioner nourishes hair and restores its softness and smoothness without weighing it down, breathing volume into dry, flat hair. Nah as promised, win yourself a DOVE hamper worth of RM100 so that you could enjoy the hair treatment just by using this Volume & Nourishment Shampoo at home! stock untuk setahun tau, i tell you the bottle is massive and DOVE is so generous to give you 2 shampoo and 2 conditioner worth of RM100 ! What is the new technology invented in both new DOVE shampoo and conditioner? Q: What is the new technology invented in both new DOVE shampoo and conditioner? A: Oxyfusion Technology contains oxygen-infused ingredients in both! 1)Dove with Oxyfusion Technology that contains oxygen-fused ingredient in both the shampoo and the conditioner. 1) Oxyfusion Technology. It contains oxygen-fused ingredient in both the shampoo and the conditioner that instantly dissolves into the hair, giving deep down moisture while adding up to 95% of volume* without weighing it down. Q:What is the new technology invented in both new DOVE shampoo and conditioner? A:Oxyfusion Technology,that contains oxygen-fused ingredient in both the shampoo and the conditioner. Trying my luck <3 Thank you for hosting this lovely giveaway! 1. 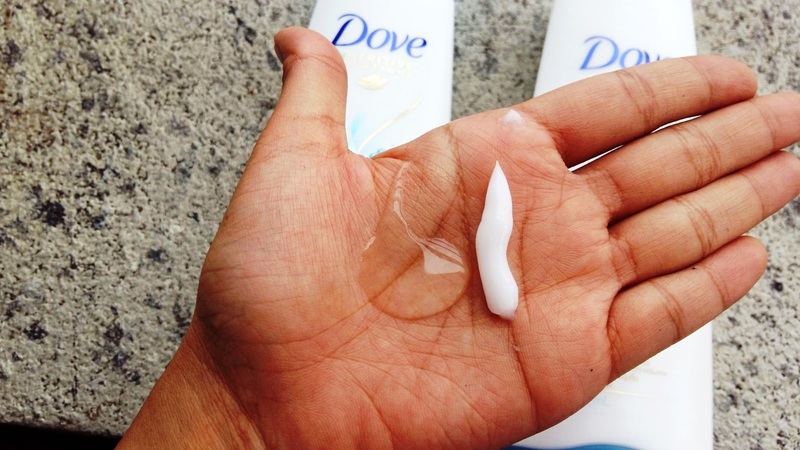 What is the new technology invented in both new DOVE shampoo and conditioner? Answer: Both are enhanced with Oxyfusion Technology that contains oxygen-fused ingredient. This technology gives instant moisture from root deep and brings volume up to 95%. 1) Question: What is the new technology invented in both new DOVE shampoo and conditioner? Answer: Dove Volume and Nourishment hair range is enriched with Oxyfusion Technology that contains oxygen-fused ingredient. This formula brings moisture from deep down and adds volume up to 95%, giving the fabulous boing boing sensation! Question: What is the new technology invented in both new DOVE shampoo and conditioner? Answer: Dove with Oxyfusion Technology! I have been your follower on Google +. The new DOVE shampoo and conditioner are formulated with Oxyfusion Technology which uses oxygen-fused ingredient that instantly dissolves into the hair, giving deep down moisture to restore smoothness while adding up to 95% more volume for hair that’s full of bounce. Oxygen-fused ingredients in the formula wrap around each hair strand and coat it with a protective layer to seal in the nourishment that hair needs, without weighing it down. These ingredients also swell in water, pushing hair strands apart and aligning them to make hair manageable while achieving full-bodied volumed.